"Unless they invest in the difficult task of creating new things, American companies will fail in the future no matter how big their profits remain today. What happens when we've gained everything to be had from fine-tuning the old lines of business that we've inherited? Unlikely as it sounds, the answer threatens to be far worse than the crisis of 2008. Today's 'best practices' lead to dead ends; the best paths are new and untried." Amen. 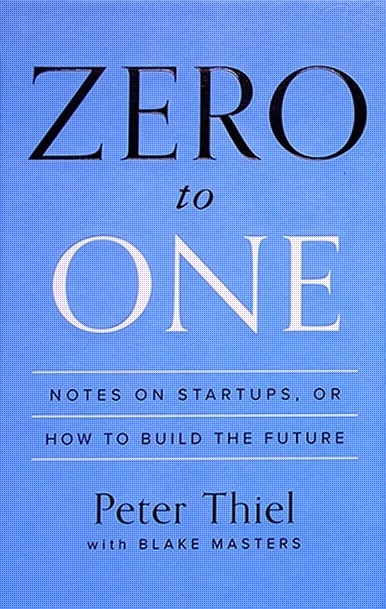 Peter Thiel has made a great contribution to entrepreneurship with his new book, Zero to One. I highly recommend this for anyone building new companies. We don't need more stuff. We need new ways to solve real problems. The subtitle here says it all. 'Notes on Startups, Or How To Build the Future'. Among my favorite quotes: "If you've invented something new but you haven't invented an effective way to sell it, you have a bad business - no matter how good the product." The opening pages set the right tone in my opinion.